Eleven Stories High: Growing Up in Stuyvesant Town, 1948--68 is a memoir of my middle class New York childhood, and the particular perceptions of a girl growing up in a housing project where the apartments and buildings are identical and you're prohibited from walking on the grass. It is an exploration of the concept of "home," how a place like Stuyvesant Town--impersonal, symmetrical, utilitarian--shapes a childhood. 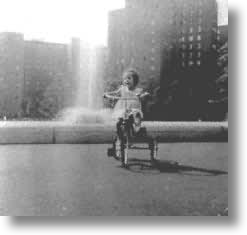 Eleven Stories High is organized by subject (rather than chronology), and examines aspects of my life in Stuyvesant Town from the time I was a toddler till I was a teenager at all-girls Hunter High School. I talk about elevators, telephones, subways, and parakeets. 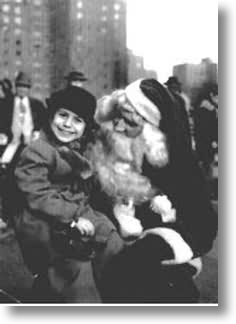 I write about my grandfather (who was head of the Dead Letter Department for the U.S. Post Office in New York), my father (an unconventional dentist) and his encounters with armed robbers, and my mother, who performed all the tasks of a traditional Fifties housewife in addition to being a biology teacher at Stuyvesant High School (where she taught the boys I met at school dances everything they knew about reproduction). This book is particularly concerned with the changing roles and expectations of women between my mother's generation and mine. Eleven Stories High includes photographs from the author's private collection. When I was a child, growing up in Stuyvesant Town, in New York City, I did not know any women who live as I do now, in a place like this, with a view like this from their window. I am a stranger even to my imagination then. It took decades of distance for me to see Stuyvesant Town at all, to form any notion of its identity. Stuyvesant Town was as familiar, as unremarkable to me as my own face. It wasn't until I began thinking about my children's childhoods, that I began to take note of what was distinctive about my own. And I came to see that Stuyvesant Town was not just a place where I happened to grow up, but a way of life. There are many stories in Stuyvesant Town, as many stories as there are lives, most, like mine, undistinguished by fame or fortune, trauma or tragedy. But even if this were fiction, I wouldn't want to invent something extraordinary for the character who would be me as a child. 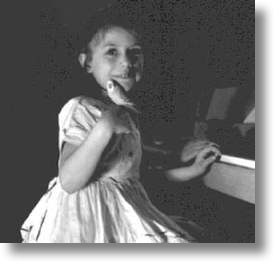 For these are scenes from a childhood that was free of hardship, a childhood that was privileged, and--dare I say it?--relatively happy, and a portrait of a place, Stuyvesant Town, that was a comfortable, middle-class community, a utopia of the Fifties. "Eleven Stories High is a marvelously sensible, observant, honest, and often amusing portrait of a very particular place that manages at the same time to conjure the experiences of many contented children growing up in many kinds of places. Demas has found a perfect way to divide up her ostensible subjects--elevators, stores, games, school--to give us a very precise picture of her life in a vertical neighborhood, yet each opens out, by virtue of the author's ingeniousness and candidness, into a much larger consideration of family, community, city. At the same time, she brings her family to us with remarkable clarity, This is a sociologically dead-on representation of mid-century urban life that is neither Leave it to Beaver nor Ozzie and Harriet in its simplifications not Manchild in the Promised Land in its accusatory grimness." "This is an irresistible memoir. The book swarms with the sort of everyday detail that not only makes a life memorable but that asks the reader to savor rather than reject it. I smiled on every page." "Corinne Demas is a wonderful storyteller, and her ability to render anecdotes about times and places gone by--to conjure up the tastes and smells and details of a vanished world--is quite remarkable. She has managed to give us a piece of urban history set within the framework of her own family history. She has also given us a stunningly detailed portrait of a most specific urban culture within a narrative that is itself a compelling story of one young woman's coming-of-age. "Demas's evocation of the specifics of childhood games, of family rituals, of the new TV culture, of the significance of the automobile, of the way we worked and played and learned, and of the ways in which the urban culture yearned to become a suburban culture, is, quite simply, superb. It is a most tenderly wrought book, full of affection for its world -- whether it tells of shopping rituals or dating rituals, dentistry or an all-girls school of the 50s." "A marvelous memoir. I loved every word…. Stuyvesant Town, with its unexpected charm is as strong a character as any I've encountered in personal narrative. Demas's portrait of her mother is exquisite." "A very meticulous writer, steady and believable. Her powers of recall are extraordinary. I regard this as an important record of contemporary life, as well as a most interesting coming-of-age memoir." "Combines a startling immediacy of presentation with the inevitable distancing of retrospection.... Eleven Stories High is richly layered, fondly written and true in the necessary way of art." Demas displays fine skills of observation. . . In a particularly enjoyable chapter about the prevalence of music lessons, Demas notes that pianos “seemed like basic appliances” in Stuyvesant Town. Demas’s Greek parents shared their neighbors’ values. A comfortable, two-career couple (her father was a dentist, her mother a high school biology teacher), they sent their only child to competitive public schools. The book is most lively and engaging when Demas describes her family: her father haunted by his WWII memories or enjoying the camaraderie of fellow Greeks; her mother, in true ‘50’s style, handling the domestic responsibilities. But Demas’s depiction of apartment living---elevators, laundry rooms, lack of pets and most significantly, the close proximity to neighbors—may be most revealing to readers unfamiliar with apartment life. "Preserving Stuyvesant Town as a Shrine to the Ordinary," by Erika Kinetz, The New York Times, November 18, 2001. "New York & Co.", interview with host Leonard Lopate, WNYC Radio, New York City, September 18, 2000. "Sharing Memories of Stuyvesant Town in the 50's," by Scott Dietsch, The Villager, September 13, 2000. 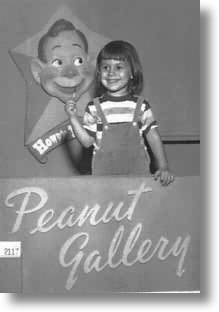 "Demas Captures Childhood in Two New Books," Provincetown Banner, August 24, 2000. "Growing Up Greek in New York's Stuyvesant Town," National Herald, August 12, 2000. 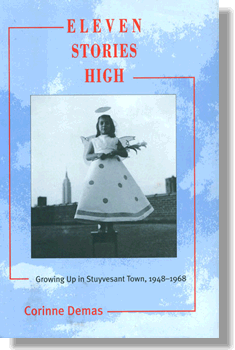 "Growing Up in Stuyvesant Town is the Stuff Great Books are Made From," by Linda Barr, Town and Village, Vol. 53, No. 33, August 10, 2000. “Pushing the Boat Out for University Press Books,” by John F. Baker, Publishers Weekly, June 12, 2000. “Stuy Town: Urban Dream at Midlife,” by Douglas Martin, The New York Times, March 8, 2000.